If you have invested one of the powerful mulching machine brands such as Seppi mulcher, you expect for the best. You expect the machine to produce incredibly high performance and productivity. That is true, but you might get disappointed by the result. That is because the brand does very little about the machine performance. A lot has to do with how you are using the machine. You need to learn tips on how to optimize your Seppi mulcher machine. There are basic things that you should know about mulching machine optimization, how you can ensure that you can get the most out of the machine. In this post, were are providing tips on how you can ensure that you are getting the most out of the Seppi mulcher. One of the most significant issues that most people are struggling with is the misuse of the mulching machine. Unfortunately, most people do not know that they are misusing the machine. One of the mistakes that people make is using the machine for the tasks that are way above what they can provide. For instance, the machine teeth designed for simple vegetation such as brushes, but they end up being used for thick bushes. That will definitely result in poor performance. Therefore, you must start by knowing the kind of tasks that your Seppi mulcher can do and limit. 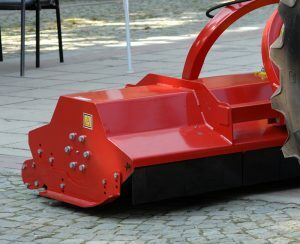 It is important to note that the efficiency of the Seppi mulcher depends on their condition of the cutter tools. The performance of the machine will go down if you don’t keep them sharp. Various factors can keep the teeth dull and one of them hitting a rocky surface. You need to keep them sharp by sharpening them whenever you notice blunt edges. It is also important to check the condition of the teeth often and more so after mulching. Repairs and replacements of the faulty wear parts is an essential factor to consider. Sometimes, you could have some Seppi mulcher teeth that have broken beyond repair. Such teeth should be replaced immediately, or they will affect the performance of the machine negatively. However, the replacement Fecon mulcher teeth must be of the same quality as the original one. That is very important. These are three basic tips that anyone should have on their fingertips while operating mulching machines. They will help you improve the performance and productivity of the machine. This entry was posted in Blog on 01/18/2019 by rimrock.